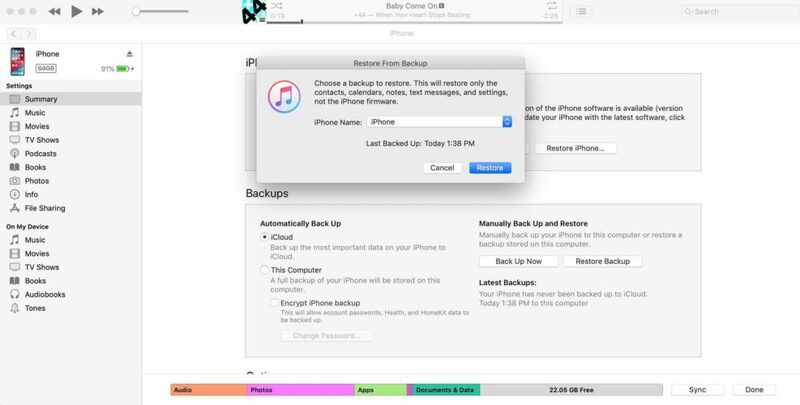 You want to use iTunes to backup your iPhone, but you’re not sure how. It’s important to have a saved backup, just in case something goes wrong with your iPhone. In this article, I’ll show you how to backup your iPhone to iTunes! 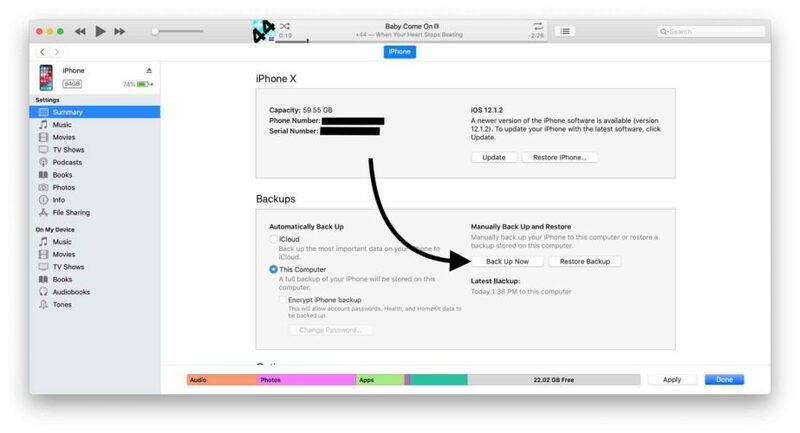 A backup is a copy of all the information on your iPhone. This includes your notes, contacts, photos, text messages, Apple Mail data, and much more! Is It Important To Backup My iPhone? Yes, it’s very important to save a backup of your iPhone. 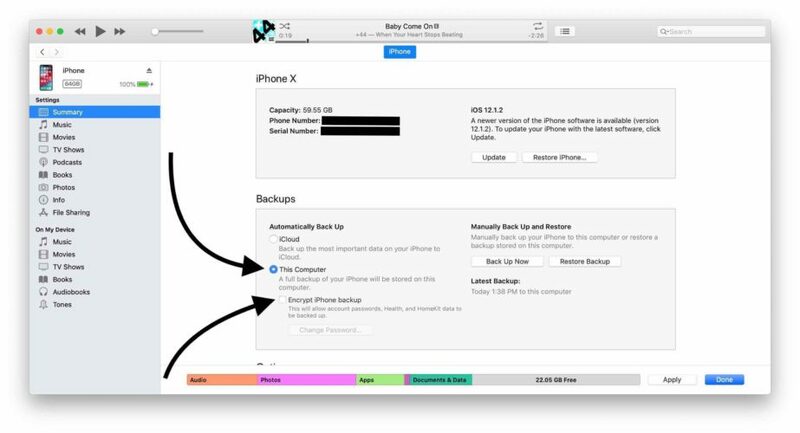 If your iPhone experiences a complicated software problem or completely breaks, you may not have another chance to create a backup. By regularly backing up your iPhone, you’ll always be prepared just in case something goes wrong. How Do I Save A Backup Of Your iPhone To iTunes? First, use a Lightning cable to plug your iPhone into any computer with iTunes. Open iTunes and click on the iPhone icon near the upper left-hand corner of the screen. Next, click Back Up Now underneath Manually Back Up and Restore. A progress bar and the words “Backing Up ‘iPhone’…” will appear at the top of iTunes. Once the progress bar is finished, you’ll have created an iPhone backup! You can safely unplug your iPhone from your computer. Manually creating iTunes backups every time you plug your iPhone into your computer can be a bit tedious. Fortunately, you can set up iTunes to automatically backup your iPhone every time you plug it in. After plugging in your iPhone and opening iTunes, click the iPhone icon in the upper left-hand corner. Click the circle next to This Computer and check the box next to Encrypt iPhone Backup. You’ll be prompted to enter a password for your backup when you encrypt it. Finally, click Done in the lower right-hand corner of the screen. Why Should I Encrypt My iPhone Backup? Encrypting your iPhone backup provides an extra layer of security for your personal information. Your data is encoded and locked, so it couldn’t be accessed if it wound up in the wrong hands. Although it’s very unlikely that your data would be compromised by Apple, it’s always better to be safe than sorry. How Do I Restore My iPhone From The Backup I Created? If you ever need to restore a backup you created, the process is pretty simple. Plug your iPhone into the same computer you use to back it up and open iTunes. 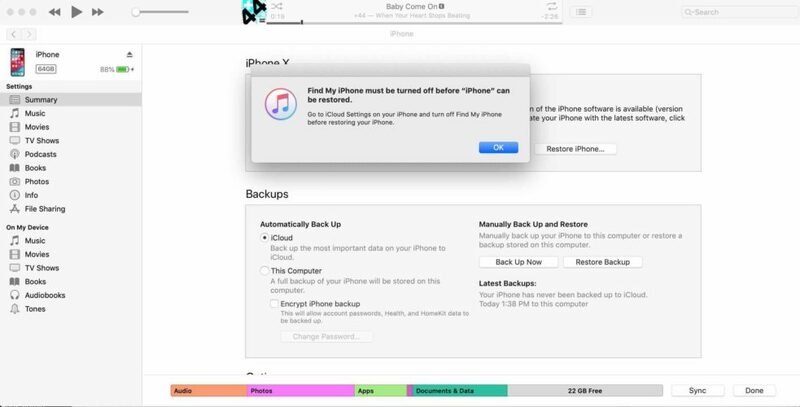 Before you can restore an iTunes backup, you’ll have to turn off Find My iPhone. Once you’ve turned off Find My iPhone, click the iPhone button near the upper left-hand corner of iTunes. Click Restore Backup under Manually Back Up and Restore. Find the name of your iPhone in the dropdown menu, then click Restore. You can rest easy now that you’ve backed up your iPhone using iTunes. 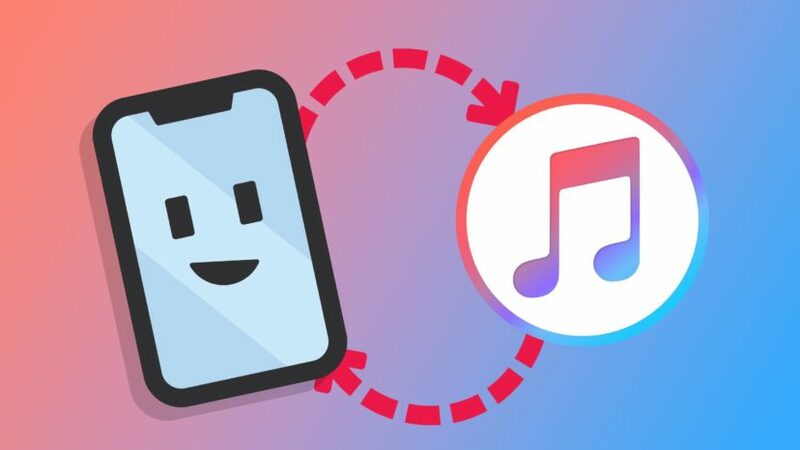 Make sure to share this article on social media so you can teach your family and friends how to backup their iPhones to iTunes! If you have any other questions, leave a comment down below. Next Article “Your Apple ID Has Been Locked” On iPhone? Is It Legit?